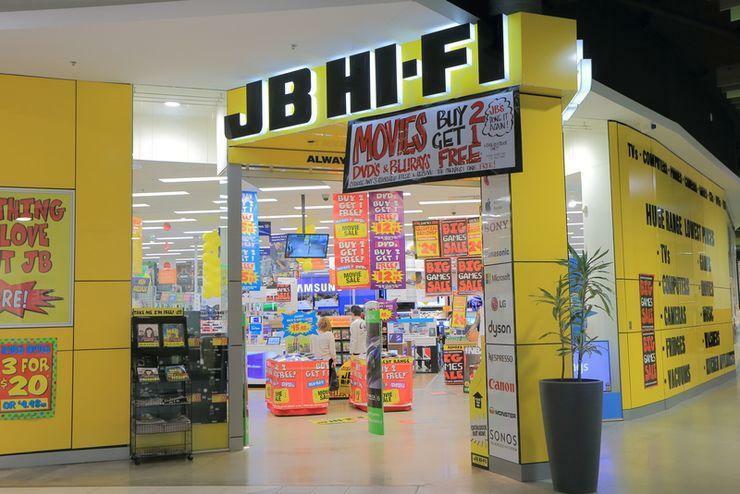 JB Hi-Fi (ASX:JBH) has lowered its annual profit forecast, citing weak performance at its home appliances business The Good Guys, driving shares of the company down almost 10 per cent to their lowest since late November. The electronics retailer cut its net profit after tax outlook for the year ending 30 June to about $230 million, from $235-$240 million expected earlier. "The Good Guys performance has been impacted by challenging conditions in the Home Appliance market, due to unfavourable weather conditions coupled with heightened price competition," the retailer said in a statement on Wednesday. Good Guys saw a comparable sales drop of 2.9 per cent in the third quarter, versus a growth of 1.2 per cent a year earlier. The bleak numbers have a "cyclical aspect too, Australian consumers right now are near lows in the spending cycle", said Michael McCarthy, chief market strategist at CMC Markets. Sluggish wage growth, rising living costs and high levels of household debt have been weighing on the consumer mood in Australia, offsetting broad-based strength in employment. A measure of the country's consumer sentiment eased slightly in April. Business for JB Hi-Fi and larger players like Harvey Norman has also taken a hit after e-commerce giant Amazon.com's arrival in Australia in December. JB Hi-Fi, however, reaffirmed its full-year sales guidance for the group of around $6.85 billion. It also said that it "remained confident" about its and The Good Guys' medium and long-term outlook. Read more Where will Amazon’s Aussie arrival leave local online tech retailers? JB Hi-Fi shares were down more than 8 percent at $23.44 at 0540 GMT, not far from an intraday low of $23.06. The stock saw its heaviest day of trading in two months. "(JB Hi-Fi) is one of the most short sold stocks on the market. There are many people who think the stock is overvalued at current prices," McCarthy said.